I have two logins which have the same password, which is okay because I have an Active Directory account. I just store the logins separated for a better overview like one for my email account and the others for a WordPress backend. So, I would like to have an option to disable the "Duplicated password" feature for those or for a tag because the red bar is really annoying when working with the extension very often. Or make the red bar collapsed (smaller) on the browser extension. PS: pretty discussion board you have here! Welcome to the forum, @muuvmuuv! You're not the only one who'd like a way to hide or defeat the Reused Passwords warning on a per-item basis. It's something that we're considering, but I've nothing to announce yet -- and it may or may not happen, since allowing users to defeat a security feature isn't something we undertake lightly. If the two logins have different URLs AND different login usernames/email addresses, then I don't have a workaround for you. However, if all of the fillable credentials are identical and only the URL is different, you can add multiple URLs to a single Login item in 1Password. Glad you like the forum layout! We use Vanilla, with some custom add-ons by our own programming team. I'll tell them you approve; it'll make their day. Glad to hear that! I'm aware that I can add multiple URLs but I like to have different accounts for different needs separated . Looking forward to see some change there. I don't mean to completely remove the feature, just to make it less present when working with quick password fills. Have a look at my attachment, I can not quickly access the password or 2FA, I need to scroll and that makes the UX less smooth. @muuvmuuv - thanks for the feedback. We are in the process of making some changes to the mini's UI, so please stay tuned and keep an eye on release notes. Meanwhile, thanks for your patience. How about a password grouping feature where they aren't counted as duplicates. For instance, I work on 4 different Macs almost daily. They are in 2 groups. I've got a desktop and a laptop set for each of home and work. I use the same password for each set of desktop and laptop. So I'd like to not see the dup password message telling me the my desktop and laptop have the same password. Another feature might be to allow a banner sizing where I could set the banner size to maybe a small red icon for "ok" dupes. I agree that URLs should have different password for each. But other things like servers and DBs where 1Password can't populate the password having dup passwords is ok.
@ekulis - thanks for weighing in. We've got some refinements to this feature in the works, based in part off user feedback. Stay tuned for future updates and thanks for the suggestions. I also have duplicate passwords, and I wish to turn off the banner- there are certain instances where I use the same password in several different places when dealing with one specific company and its software, as well as a more basic password that is easy to remember on "less important" sites. I appreciate the warning, but there are times I really want to have duplicate passwords, thanks. @marzzz - thanks for weighing in on the subject. I appreciate applications which allow me to disable warnings. I often have good reason to do things developers consider ill-advised and (with all due respect and courtesy) really do despise being nannied. Help isn't help when one can't shut it up - it's aggression. Welcome to the forum, @commiepinko! I've changed your username slightly in accordance with this forum's Terms of Service because we try to keep things family-friendly in this forum. Thanks for weighing in on this subject. Another bump for this feature request. I appreciate that the default is to warn for dupes and think that doing so is completely appropriate but I have a couple of scenarios where I have a good (or at least considered and intentional) reason for using a duplicate password. Getting a big visual warning that can't be disabled and isn't applicable to my situation gives me alert fatigue and makes me less likely to pay attention to 1Password warnings that are actually useful to me. 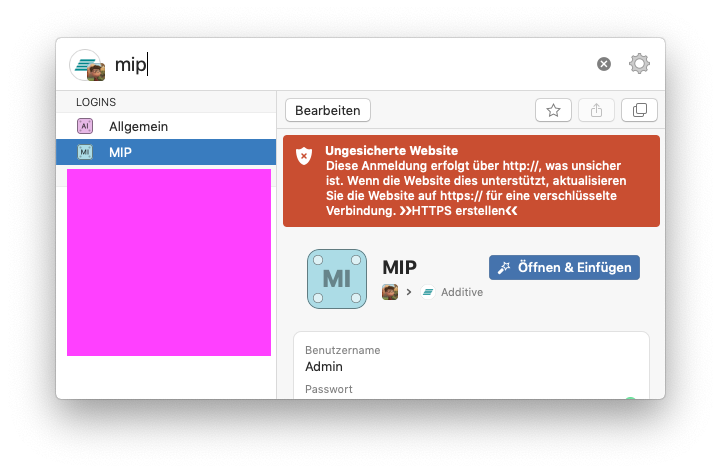 Much like you've done with the 2FA/HTTPS warnings, being able to add a "duplicate" tag to specific entries to suppress that warning would be helpful. We do have some thoughts around how to address this difficulty. I can't say for certain if or when changes will be available but we have done some brainstorming and have written some code that we're testing out. I'll weigh in on this as well. Our company uses Single-Sign-On for several applications, all based off of Azure Active Directory. Where we use SSO, we require 2-Factor Authentication, so even though I may have the same user name and password for these sites, I have a unique 2FA code for each. This (to me) keeps them secure, but it also is why I don't want to use one single entry in 1Password with multiple URLs - I'd have to either use a different authenticator app, or scroll a LOT when trying to find the right 2FA code to use. Plus the auto-clipboard feature would be worthless as I wouldn't have just one default 2FA key. Being able to either "link" the related accounts so that 1Password doesn't view them as reused passwords, or the ability to selectively disable the reused password warning would be greatly appreciated. I am really curious when an improvement will come, because I find this Dedup message really annoying - every time I see it, I wonder if I should "downgrade" again. 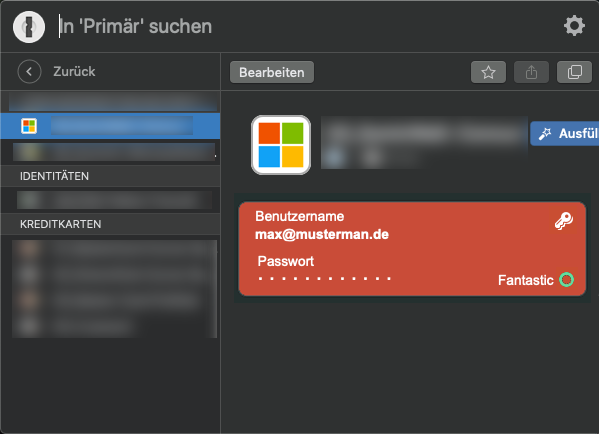 In principle a warning is good, but in today's world with 2FA and SSO many have the same problem: This Dedup message is much too prominent and I like to do without the Darkmode, just so that I don't get this Dedup message anymore, until a solution is found. Welcome to the forum, @Gnuschel and @hoosiernick! Thanks for weighing in on this topic. Between this issue and the immovable "Watchtower" item in the sidebar that now steals valuable real estate from "Categories" by being on top of them it feels as though 1Password 7 for Mac has become increasingly hostile to power users. Especially ones who have usage patterns that don't agree with AgileBits' ideas about password management. I've long ago switched back to 1Password 6 - it not only has a more friendly user interface for my needs but feels faster to boot. Sorry to hear this @bench. But we do appreciate you taking the time to post this feedback, and we hope that 1Password 7 will be the right choice for you soon. Similar use case to ekulis above: I have several SSH keys sharing the same passphrase, but they need to have separate entries since the sharing may end for one or more items at some point. Would love to to be able to reclaim some screen real estate in the UI when a duplicate is "acknowledged". Please count my vote in. Thanks for your feedback! It's helpful to know the specifics of your use case.